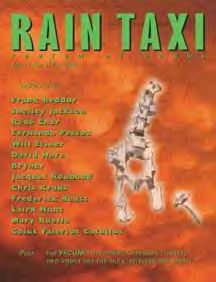 The new print issue of Rain Taxi is available and the new online issue is, um, online. This is a terrific magazine of reviews, largely of books you’re not likely to see reviewed anywhere else. It’s definitely worth checking out.